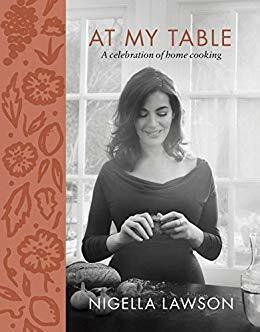 If you, like me, find Create TV extremely soothing, you may have noticed that the recent show based on Nigella Lawson's latest cookbook At My Table seems to be always on, even though there's only a handful of episodes. I've seen the segment about Lawson's Emergency Brownies approximately a dozen times now, so I am grateful to Chatelaine for reprinting the recipe. I'm certain to have a brownie emergency sooner or later, and what if it happens the one time her show isn't on air?